Synthetic cannabidiols can be toxic, while pure CBD derived from the cannabis or hemp plant has proven medical benefits for seizures..
Epilepsy is a common and diverse set of chronic neurological disorders characterized by seizure. Some definitions of epilepsy require that seizures be recurrent and unprovoked, but others require only a single seizure combined with brain alterations which increase the chance of future seizures. In many cases a cause cannot be identified; however, factors that are associated include brain trauma, strokes, brain cancer, and drug and alcohol misuse among others. CBD (non- psychoactive) is a chemical composite of the cannabis plant that does not contain THC, and has been extensively researched to stop seizures from occurring. This is very beneficial to young children suffering from seizures whose parents are concerned about their children using traditional cannabis therapies. Lab tested CBD oils are now readily available. 2017 - Study ~ Social factors in marijuana use for medical and recreational purposes. 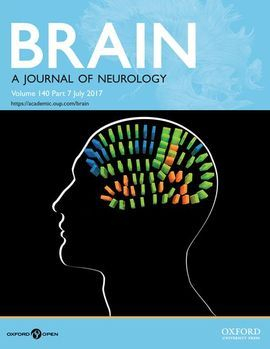 2017 - Study ~ Neuroimaging studies towards understanding the central effects of pharmacological cannabis products on patients with epilepsy. 2017 - Study ~ Historical perspective on the medical use of cannabis for epilepsy: Ancient times to the 1980s. 2016 - Study ~ The Pharmacological Basis of Cannabis Therapy for Epilepsy: Using Medical Marijuana to Stop Childhood Seizures. 2016 - Study ~ Cannabis and epilepsy: An ancient treatment returns to the fore. 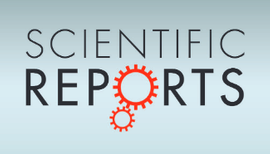 epileptic seizures in mice via quantitative mass spectrometry. 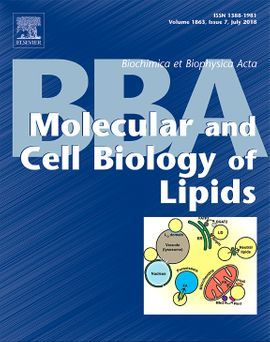 Biochimica et Biophysica Acta (BBA) - Molecular and Cell Biology of Lipids. 2016 - Study ~ Endogenous cannabinoid system alterations and their role in epileptogenesis after brain injury in rat. drugs against audiogenic seizures in DBA/2 mice. Journal of Clinical Neurophysiology: Official Publication of The American Electroencephalographic Society. 2016 - Study ~ From cannabis to cannabidiol to treat epilepsy, where are we? 2016 - Study ~ Marijuana use in adults admitted to a Canadian epilepsy monitoring unit. 2016 - Study ~ The cannabinoid receptor agonist WIN55.212 reduces consequences of status epilepticus in rats. Receptor Agonists with Analytical Confirmation. 2016 - Study ~ Current Status and Prospects for Cannabidiol Preparations as New Therapeutic Agents. 2016 - Study ~ Aberrant epilepsy-associated mutant Nav1.6 sodium channel activity can be targeted with cannabidiol. 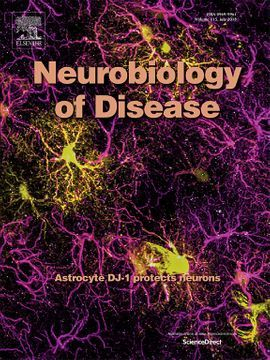 Oxford Academic: BRAIN, A Journal of Neurology. 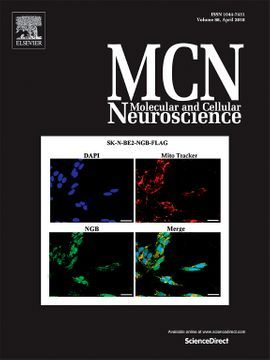 of Dynorphin-KOR System and mGluR5 in Rat Hippocampus. 2016 - Study ~ Cannabidiol and epilepsy: rationale and therapeutic potential. acute rat model of temporal lobe epilepsy. 2016 - Study ~ Anticonvulsant activity of β-caryophyllene against pentylenetetrazol-induced seizures. 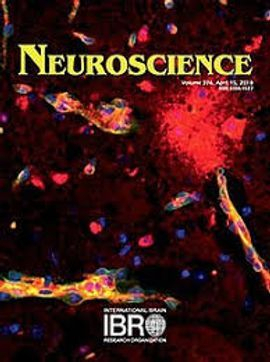 2016 - Study ~ Dentate cannabinoid-sensitive interneurons undergo unique and selective strengthening of mutual synaptic inhibition in experimental epilepsy. neurological and neurochemical responses in mice. 2016 - Study ~ Cannabis and Cannabinoids. From The Medical Letter on Drugs and Therapeutics. 2016 - Study ~ Investigational new drugs for focal epilepsy. 2016 - Study ~ Medical Marijuana for Epilepsy? Refractory Epilepsy: Full Remission after Switching to Purified Cannabidiol. 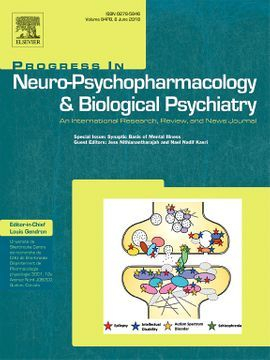 2016 - Study ~ Endocannabinoid control of glutamate NMDA receptors: the therapeutic potential and consequences of dysfunction. Department of Molecular, Cellular and Developmental Neurobiology, Laboratory of Neuropharmacology, Madrid, Spain. 2016 - Study ~ Fatty Acid Binding Proteins are Intracellular Carriers for THC and CBD. 2016 - Study ~ Is the medical use of cannabis a therapeutic option for children? 2016 - Study ~ Synthetic cannabinoids revealing adrenoleukodystrophy. 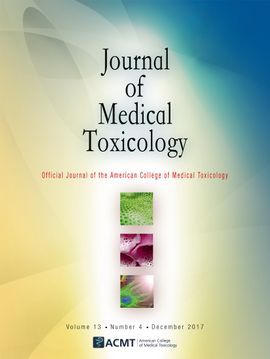 2016 - Study ~ Case Series of Synthetic Cannabinoid Intoxication from One Toxicology Center. 2016 - Study ~ ABC transporters P-gp and Bcrp do not limit the brain uptake of the novel antipsychotic and anticonvulsant drug cannabidiol in mice. PeerJ: Peer Reviewed & Open Access. 2016 - Study ~ Analysis of endocannabinoid signaling elements and related proteins in lymphocytes of patients with Dravet syndrome. British Pharmacological Society: Pharmacology Research & Perspectives. epileptogenesis through long-lasting upregulating endocannabinoid signaling. 2016 - Study ~ The Pharmacological Basis of Cannabis Therapy for Epilepsy. pentylenetetrazole induced seizure severity in Wistar rats. 2015 - Study ~ Convulsant effects of high efficacy synthetic cannabinoid JWH-018 in mice. 2015 - Study ~ The effects of adolescent cannabinoid exposure on seizure susceptibility and lethality in adult male rats. 2015 - Study ~ Cannabidiol as potential treatment in refractory pediatric epilepsy. 2015 - Study ~ Polypharmacology Shakes Hands with Complex Aetiopathology. 2015 - Study ~ Cannabis and Endocannabinoid Signaling in Epilepsy. 2015 - Study ~ Palmitoylethanolamide attenuates PTZ-induced seizures through CB1 and CB2 receptors. 2015 - Study ~ Cytochrome P450-mediated metabolism of the synthetic cannabinoids UR-144 and XLR-11. 2015 - Study ~ Issues and promise in clinical studies of botanicals with anticonvulsant potential. Department of Neurology, University Medical Center, Jerusalem, Israel. 2015 - Study ~ Marijuana Use in Epilepsy: The Myth and the Reality. 2015 - Study ~ Cannabidiol, a Cannabis sativa constituent, inhibits cocaine-induced seizures in mice: Possible role of the mTOR pathway and reduction in glutamate release. neurogenesis in mice treated with antiepileptic drugs. 2015 - Study ~ Changes over time of cannabinoid receptor 1 in hippocampus of status epilepticus rats. Zhonghua Yi Xue Za Zhi journal. 2015 - Study ~ Perceived efficacy of cannabidiol-enriched cannabis extracts for treatment of pediatric epilepsy. a rat model of audiogenic epilepsy. 2015 - Study ~ Weeding out bad waves: towards selective cannabinoid circuit control in epilepsy. 2015 - Study ~ Pure cannabidiol in the treatment of malignant migrating partial seizures in infancy: a case report. 2015 - Study ~ The role of cannabinoids and leptin in neurological diseases. Epilepsy and Behavior. Department of Pediatrics and Neurology, Children's Hospital Colorado, University of Colorado. 2015 - Study ~ Withdrawal Seizures Seen In the Setting of Synthetic Cannabinoid Abuse. 2015 - Study ~ Inhibition of monoacylglycerol lipase mediates a cannabinoid 1-receptor dependent delay of kindling progression in mice. 2015 - Study ~ Attenuation of kainic acid-induced status epilepticus by inhibition of endocannabinoid transport and degradation in guinea pigs. 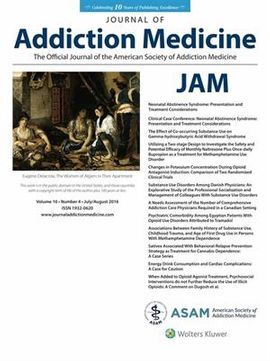 2015 - Study ~ A Common Source Outbreak of Severe Delirium Associated with Exposure to the Novel Synthetic Cannabinoid ADB-PINACA. AAEM (American Academy of Emergency Medicine.) 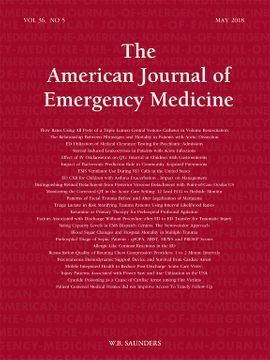 The Journal of Emergency Medicine. 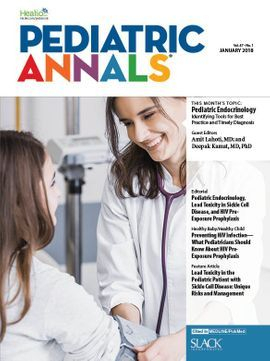 2015 - Study ~ Options for pharmacoresistant epilepsy in children: when medications don't work. activity and oxidative stress in mice. 2015 - Study ~ Cannabidiol in patients with treatment-resistant epilepsy: an open-label interventional trial. 2015 - Study ~ Marijuana: A Time-Honored but Untested Treatment for Epilepsy. Cambridge Core: Canadian Journal of Neurological Sciences. Epilepsia: Official Journal of the International League Against Epilepsy. 2015 - Study ~ The basolateral amygdala γ-aminobutyric acidergic system in health and disease. 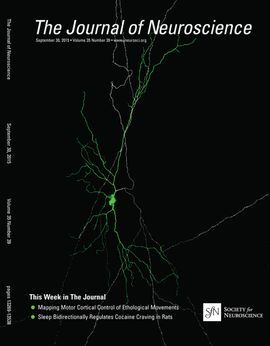 Journal of Neuroscience Research: The Amygdala: Dysfunction, Hyperfunction and Connectivity. 2015 - Study ~ Homer Protein-Metabotropic Glutamate Receptor Binding Regulates Endocannabinoid Signaling and Affects Hyperexcitability in a Mouse Model of Fragile X Syndrome. 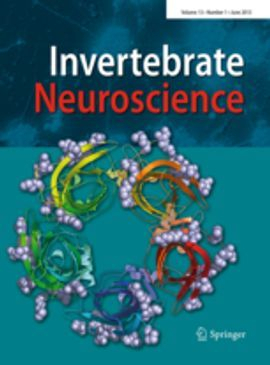 JNeurosci: The Journal of Neuroscience. 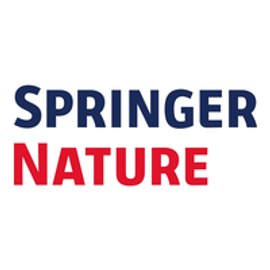 BMC/Springer Nature: Addiction Science & Clinical Practice. 2015 - Study ~ TRPV1 Channel: A Potential Drug Target for Treating Epilepsy. Neuroscience Research Center, University of Suleyman Demirel, Isparta,Turkey. 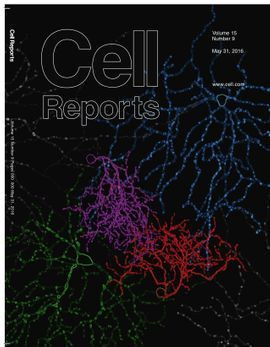 2015 - Study ~ Loss of Either Rac1 or Rac3 GTPase Differentially Affects the Behavior of Mutant Mice and the Development of Functional GABAergic Networks. 2015 - Study ~ Investigational new drugs for focal epilepsy. 2015 - Study ~ Cannabinoids: is there a potential treatment role in epilepsy? 2015 - Study ~ Impaired 2-AG signaling in hippocampal glutamatergic neurons: aggravation of anxiety-like behavior and unaltered seizure susceptibility. 2015 - Study ~ Cannabinoids and Epilepsy. 2015 - Study ~ Phytocannabinoids and epilepsy. 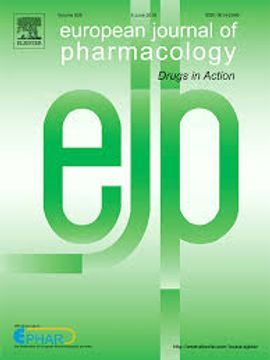 Journal of Clinical Pharmacy and Therapeutics: Phytocannabinoids and Epilepsy. 2015 - Study ~ Interaction between Cannabinoid Compounds and Capsazepine in Protection against Acute Pentylenetetrazole-induced Seizure in Mice. 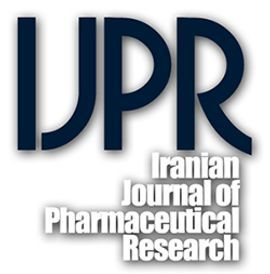 Iranian Journal of Pharmaceutical Research. Orphanet Journal of Rare Diseases. 2015 - Study ~ Cannabidiol Rescues Acute Hepatic Toxicity and Seizure Induced by Cocaine. Tetrahydrocannabinol (THC) and Cannabidiol (CBD). Pharmacology Research & Perspectives: Department of Pharmacology, University of Washington, Seattle, Washington. 2015 - Study ~ Augmented Inhibition from Cannabinoid-Sensitive Interneurons Diminishes CA1 Output after Traumatic Brain Injury. Journal of Alternative and Complementary Medicine, New York. 2014 - Study ~ Medical marijuana and children. hippocampus by kainic acid-induced status epilepticus. 2014 - Study ~ Post-status epilepticus treatment with the cannabinoid agonist WIN 55,212-2 prevents chronic epileptic hippocampal damage in rats. 2014 - Study ~ Involvement of PPAR receptors in the anticonvulsant effects of a cannabinoid agonist, WIN 55,212-2. 2014 - Study ~ Circumventing seizure activity in a series of G protein coupled receptor 119 (GPR119) agonists. 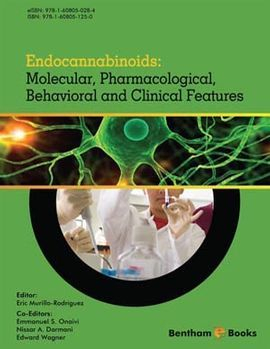 2014 - Study ~ Role of CB2 receptors and cGMP pathway on the cannabinoid-dependent antiepileptic effects in an in vivo model of partial epilepsy. 2014 - Study ~ Cannabis, cannabidiol, and epilepsy - From receptors to clinical response. Neuropeptides: Department of Physiology, Faculty of Medicine, University of Ondokuz Mayis, Samsun, Turkey. subpopulation-specific effects on epileptogenesis in the kindling paradigm. 2014 - Study ~ Distinct modulation of the endocannabinoid system upon kainic acid-induced in vivo seizures and in vitro epileptiform bursting. 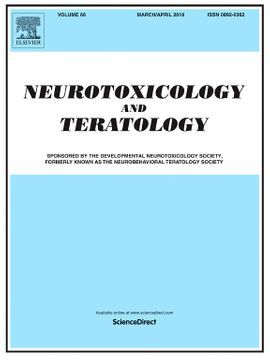 2014 - Study ~ Pentylenetetrazol-induced seizure-like behavior and neural hyperactivity in the medicinal leech. Vitro: Potential for the Treatment of Neuronal Hyperexcitability. 2014 - Study ~ Cannabinoids for epilepsy: is marijuana an effective treatment for epilepsy? IOS Press: New Treatment Approaches in Pediatric Epilepsy. Department of Neurology, University of Iowa. 2014 - Study ~ Voltage-gated sodium (NaV) channel blockade by plant cannabinoids does not confer anticonvulsant effects per se. 2014 - Study ~ Human and canine seizures due to PB-22, a novel synthetic cannabinoid. 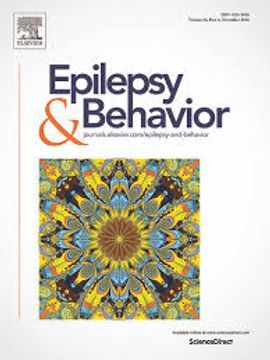 2014 - Study ~ Efficiency and safety of epidiolex (Cannabidiol) in children and yound adults with treatment-resistant epilepsy. 2014 - Letter ~ A 'spicy' encephalopathy: synthetic cannabinoids as cause of encephalopathy and seizure. 2014 - Study ~ The Comprehensive Report on the Cannabis Extract Movement and the Use of Cannabis Extracts to Treat Diseases. 2014 - Study ~ Cannabidiol: Promise and Pitfalls. Epilepsy Currents: Reviews and Critical Analysis. Spontaneous Seizures in R6/2 Mice. 2014 - Study ~ Seizing an opportunity for the endocannabinoid system. 2014 - Study ~ The case for assessing cannabidiol in epilepsy. 2014 - Study ~ Cannabinoids for epilepsy. Cochrane Library: Database of Systematic Reviews. 2014 - Study ~ Selected terpenoids from medicinal plants modulate endoplasmic reticulum stress in metabolic disorders. 2014 - Study ~ Presynaptic mechanisms of neuronal plasticity and their role in epilepsy. 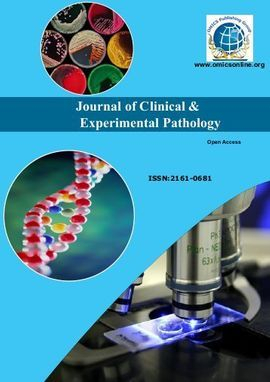 International Journal of Clinical & Experimental Pathology. 2014 - Study ~ Physicians, Medical Marijuana, and the Law. American Medical Association Journal of Ethics. 2014 - Study ~ Endogenous Signaling by Omega-3 Docosahexaenoic Acid-derived Mediators Sustains Homeostatic Synaptic and Circuitry Integrity. 2014 - Study ~ Modulation of pilocarpine-induced seizures by cannabinoid receptor 1. 2014 - Study ~ The case for medical marijuana in epilepsy. 2013 - Article ~ Comes Now Epidiolex (FDA approves IND studies of CBD). 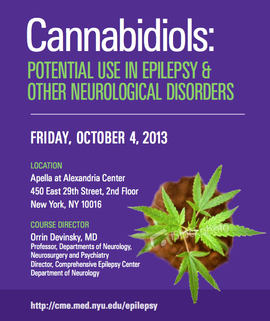 Cannabidiols: Potential Use in Epilepsy & Other Neurological Disorders. 2013 - Study ~ Alterations of endocannabinoids in cerebrospinal fluid of dogs with epileptic seizure disorder. Gesell et al. BMC Veterinary Research. 2013 - Study ~ Cannabidivarin (CBDV) suppresses pentylenetetrazole (PTZ)-induced increases in epilepsy-related gene expression. 2013 - Study ~ Report of a parent survey of cannabidiol-enriched cannabis use in pediatric treatment- resistant epilepsy. National Institutes of Health: Epilepsy Behavior, Department of Neurology, Stanford University. 2013 - Study ~ Cannabis and other illicit drug use in epilepsy patients. 2013 - Study ~ The Role of CB1-Receptors in the Proconvulsant Effect of Leptin on Penicillin-Induced Epileptiform Activity in Rats. pentylenetetrazole and maximal electroshock models of seizure in mice. 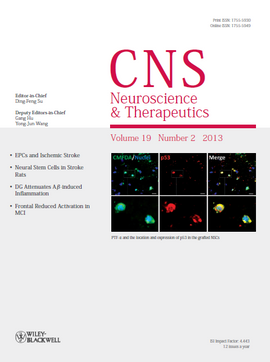 2013 - Study ~ Cannabinoid 1 receptor as therapeutic target in preventing chronic epilepsy. 2013 - Study ~ The du2J mouse model of ataxia and absence epilepsy has deficient cannabinoid CB1 receptor-mediated signalling. pentylenetetrazole-induced seizure threshold in mice. 2013 - Study ~ CB1 agonists, locally applied to the cortico-thalamic circuit of rats with genetic absence epilepsy, reduce epileptic manifestations. 2013 - Study ~ The secret "spice": an undetectable toxic cause of seizure. 2013 - Study ~ Therapeutic potential of cannabinoid medicines. 2013 - Study ~ Cannabidivarin-rich cannabis extracts are anticonvulsant in mouse and rat via a CB1 receptor-independent mechanism. 2012 - Study ~ Inverse relationship of cannabimimetic (R+)WIN 55, 212 on behavior and seizure threshold during the juvenile period. 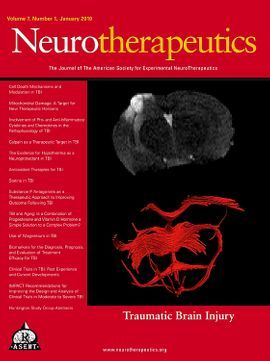 2012 - Study ~ Equipotent Inhibition of Fatty Acid Amide Hydrolase and Monoacylglycerol Lipase - Dual Targets of the Endocannabinoid System to Protect against Seizure Pathology. 2012 - Study ~ Epileptiform activity in the CA1 region of the hippocampus becomes refractory to attenuation by cannabinoids in part because of endogenous γ-aminobutyric acid type B receptor activity. 2012 - Study ~ Cannabidiol for neurodegenerative disorders: important new clinical applications for this phytocannabinoid? 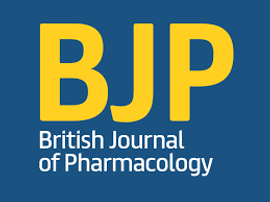 British Journal of Clinical Pharmacology. 2012 - Study ~ Statistical parametric mapping reveals regional alterations in cannabinoid CB1 receptor distribution and G-protein activation in the 3D reconstructed epileptic rat brain. 2012 - Study ~ Cannabidiol exerts anti-convulsant effects in animal models of temporal lobe and partial seizures. 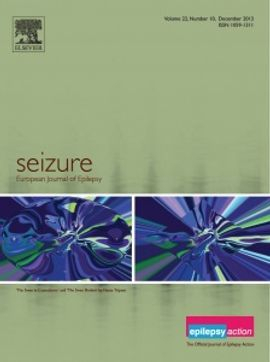 Seizure: European Journal of Epilepsy. 2012 - Study ~ Internet Highs-Seizures After Consumption of Synthetic Cannabinoids Purchased Online. 2012 - Study ~ Cannabinoid receptor 1 inhibition causes seizures during anesthesia induction in experimental sepsis. Journal of Anesthesia & Analgesia. 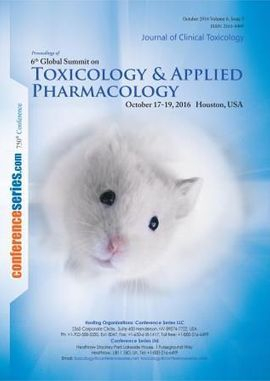 2012 - Study ~ Effect of ACEA-a selective cannabinoid CB1 receptor agonist on the protective action of different antiepileptic drugs in the mouse pentylenetetrazole-induced seizure model. 2011 - Study ~ Endocannabinoid system protects against cryptogenic seizures. 2011 - Study ~ Convulsions Associated with the Use of a Synthetic Cannabinoid Product. 2011 - Study ~ Pro-epileptic effects of the cannabinoid receptor antagonist SR141716 in a model of audiogenic epilepsy. 2011 - Study ~ Synthetic cannabinoid WIN 55,212-2 mesylate enhances the protective action of four classical antiepileptic drugs against maximal electroshock-induced seizures in mice. 2011 - Study ~ Protective effects of CB1 receptor agonist WIN 55.212-2 in seizure activity in the model of temporal lobe epilepsy. 2011 - Study ~ L-Type Calcium Channel Mediates Anticonvulsant Effect of Cannabinoids in Acute and Chronic Murine Models of Seizure. 2011 - Study ~ Changes in the cannabinoid (CB1) receptor expression level and G-protein activation in kainic acid induced seizures. 2011 - Study ~ Marijuana, endocannabinoids, and epilepsy: Potential and challenges for improved therapeutic intervention. 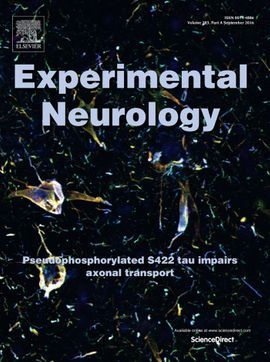 Experimental Neurology, a Journal of Neuroscience Research. 2010 - Study ~ Cannabidiol Displays Antiepileptiform and Antiseizure Properties In Vitro and In Vivo. 2010 - Study ~ Cannabinoid-mediated inhibition of recurrent excitatory circuitry in the dentate gyrus in a mouse model of temporal lobe epilepsy. PLOS ONE: A Peer-reviewed, Open Access Journal. Institute of Physiological Chemistry, University Medical Center of the Johannes Gutenberg University, Mainz, Germany. 2010 - Study ~ Delta 9-Tetrahydrocannabivarin suppresses in vitro epileptiform and in vivo seizure activity in adult rats. 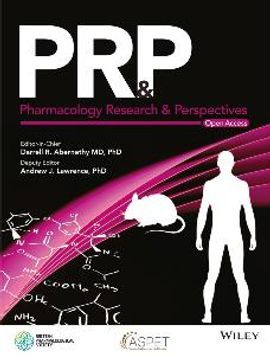 2010 - Study ~ Anticonvulsant effects of GWP42006 in vitro and in vivo in rat. The Physiological Society: Cellular Neurophysiology Abstracts. 2010 - Study ~ Dynamic changes of CB1-receptor expression in hippocampi of epileptic mice and humans. 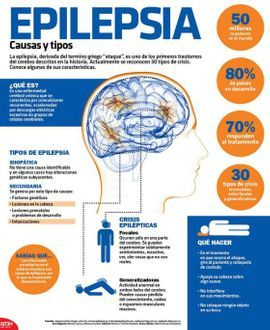 Epilepsia. Hungarian Academy of Sciences. 2009 - Study ~ The effects of intracerebroventricular AM-251, a CB1-receptor antagonist, and ACEA, a CB1-receptor agonist, on penicillin-induced epileptiform activity in rats. Epilepsia: Department of Physiology, Faculty of Medicine, University of Ondokuz Mayis, Samsun, Turkey. 2009 - Study ~ Prolonged exposure to WIN55,212-2 causes downregulation of the CB1 receptor and the development of tolerance to its anticonvulsant effects in the hippocampal neuronal culture model of acquired epilepsy. 2009 - Study ~ The effects of intracerebroventricular AM‐251, a CB1‐receptor antagonist, and ACEA, a CB1‐receptor agonist, on penicillin‐induced epileptiform activity in rats. 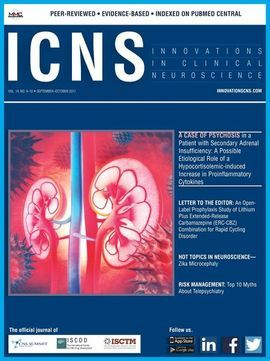 2009 - Study ~ Involvement of nitrergic system in the anticonvulsant effect of the cannabinoid CB1 agonist ACEA in the pentylenetetrazole-induced seizure in mice. 2008 - Study ~ The phytocannabinoid Delta9-tetrahydrocannabivarin modulates inhibitory neurotransmission in the cerebellum. 2008 - Study ~ The cannabinoid anticonvulsant effect on pentylenetetrazole-induced seizure is potentiated by ultra-low dose naltrexone in mice. 2007 - Study - Marijuana: an effective antiepileptic treatment in partial epilepsy? A case report and review of the literature. 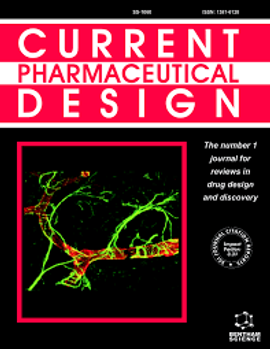 2007 - Study ~ Development of pharmacoresistance to benzodiazepines but not cannabinoids in the hippocampal neuronal culture model of status epilepticus. Neurobiology of Disease: Institute of Experimental Medicine, Hungarian Academy of Sciences. 2007 - Study ~ Ultra-low dose cannabinoid antagonist AM251 enhances cannabinoid anticonvulsant effects in the pentylenetetrazole-induced seizure in mice. 2006 - Study ~ Forebrain-Specific Inactivation of Gq/G11 Family G Proteins Results in Age-Dependent Epilepsy and Impaired Endocannabinoid Formation. Molecular and Cellular Biology: University of Heidelberg, Germany. Neuron: Department of Physiological Chemistry, Johannes Gutenberg University, Germany. 2006 - Study ~ Cannabinoid CB1 receptor antagonists cause status epilepticus-like activity in the hippocampal neuronal culture model of acquired epilepsy. 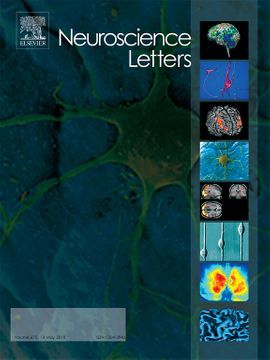 Neuroscience Letter: Virginia Commonwealth University, Richmond, Virginia. 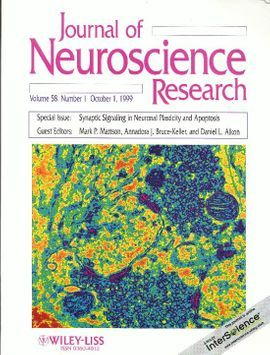 2006 - Study ~ Activation of the Cannabinoid Type-1 Receptor Mediates the Anticonvulsant Properties of Cannabinoids in the Hippocampal Neuronal Culture Models of Acquired Epilepsy and Status Epilepticus. 2006 - Study ~ Arachidonyl-2′-chloroethylamide, a highly selective cannabinoid CB1 receptor agonist, enhances the anticonvulsant action of valproate in the mouse maximal electroshock-induced seizure model. 2005 - Study ~ Selective antiepileptic effects of N-palmitoylethanolamide, a putative endocannabinoid. Epilepsia: Department of Anatomy and Cell Biology, College of Medicine, University of Saskatchewan. 2005 - Study ~ Treatment with CBD in oily solution of drug-resistant paediatric epilepsies. The Netherlands: International Association for Cannabis as Medicine. 2005 - Study ~ Cannabinoids as potential anti-epileptic drugs. 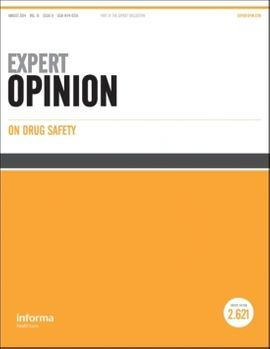 Current Opinion investigational Drugs, London England. 2004 - Study ~ Endocannabinoids and Their Implications for Epilepsy. 2004 - Study ~ Cannabinoids: Defending the Epileptic Brain. 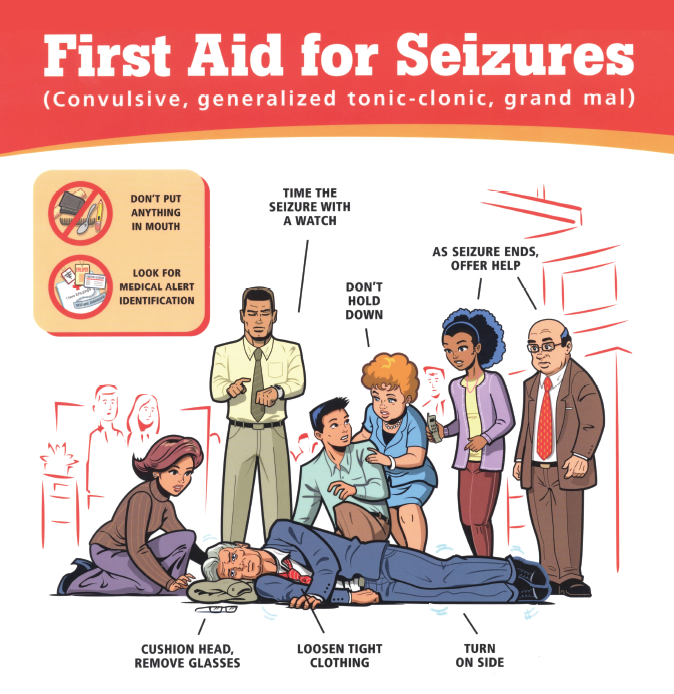 Epilepsy Currents: American Epilepsy Society. 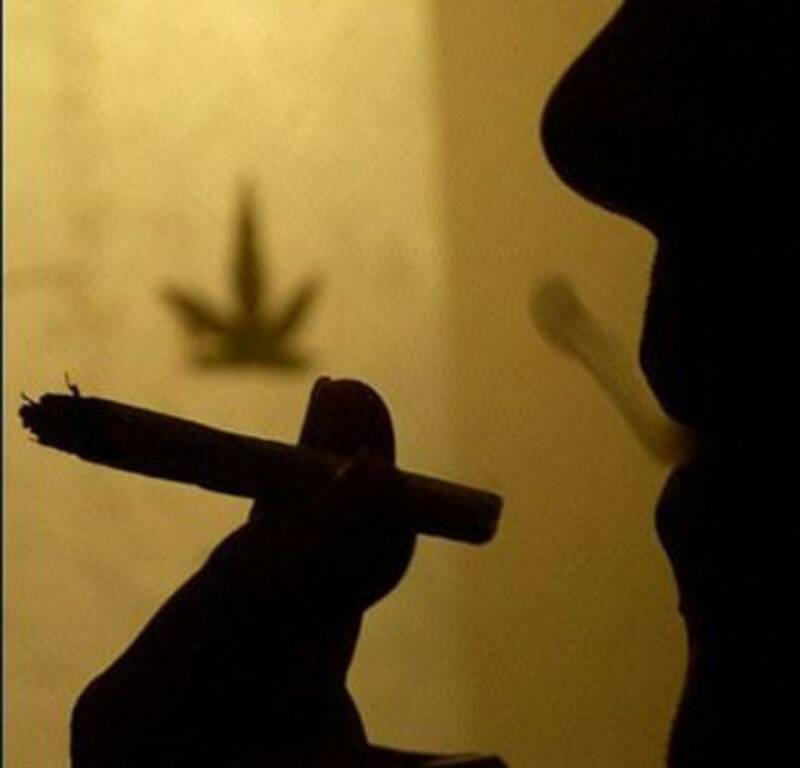 2004 - Study ~ Marijuana use and epilepsy - Prevalence in patients of a tertiary care epilepsy center. 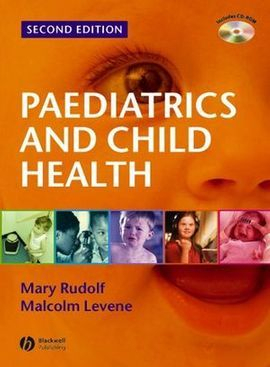 2003 - Study ~ On the application of cannabis in paediatrics and epileptology. 2001 - Study ~ Anticonvulsant activity of N-palmitoylethanolamide, a putative endocannabinoid, in mice. 2001 - Study ~ Alcohol and marijuana: effects on epilepsy and use by patients with epilepsy. 1999 - Study ~ Therapeutic aspects of cannabis and cannabinoids. 1992 - Study ~ Marijuana use and the risk of new onset seizures. Transactions of the American and Climatological Association. 1990 - Study ~ Illicit drug use and the risk of new onset seizures. 1982 - Study ~ Anticonvulsant effects of the (-) and (+)isomers of cannabidiol and their dimethylheptyl homologs. 1982 - Study ~ Effects of cannabidiol on behavioral seizures caused by convulsant drugs or current in mice. 1981 - Study ~ Hypnotic and antiepileptic effects of cannabidiol. 1981 - Study ~ Antiepileptic potential of cannabidiol analogs. 1981 - Study ~ The cannabinoids as potential antiepileptics. 1980 - Study ~ Chronic administration of cannabidiol to healthy volunteers and epileptic patients. 1978 - Study ~ Anticonvulsant Action of Cannabis in the Rat: Role of Brain Monoamines. 1977 - Study ~ Cannabidiol--antiepileptic drug comparisons and interactions in experimentally induced seizures in rats. 1976 - Study ~ Anticonvulsant activity of delta9-tetrahydrocannabinol compared with three other drugs. 1975 - Study ~ Antiepileptic and prophylactic effects of tetrahydrocannabinols in amygdaloid kindled cats. 1975 - Study ~ Anticonvulsant activity of four oxygenated cannabidiol derivatives. Research Communications in Chemical Pathology and Pharmacology. 1975 - Study ~ Epileptiform seizures in domestic fowl. V. The anticonvulsant activity of delta9-tetrahydrocannabinol. 1949 - Study ~ Anti-epileptic Action of Marijuana-Active Substances. BY JEAN P. DAVIS, M.D., and H.H. RAMSEY, M.D.